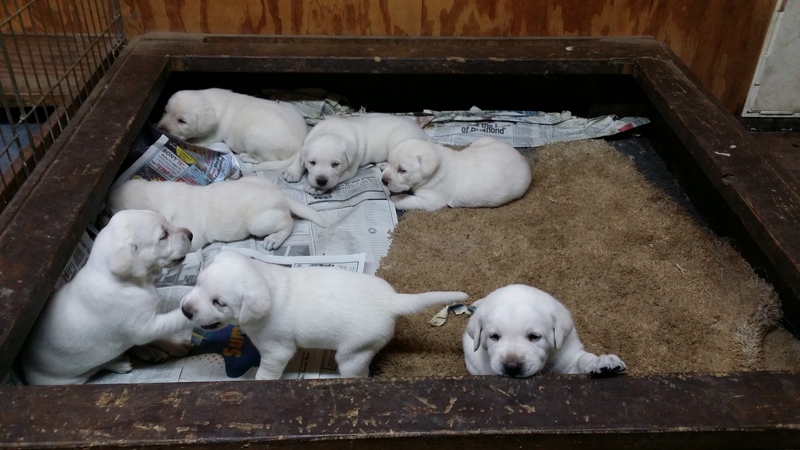 White Lab Puppies are ready to explore the outdoors. This litter of white labs puppies are almost 4 weeks old & they are letting me know that they want out of the whelping box. They will get to start exploring tomorrow morning. This litter is sold. The next litter is due to arrive around June 20th. We are ready to get out of here. ← How to decide which white lab puppy to hold.